OCRON’s Reach Extends To Florida! 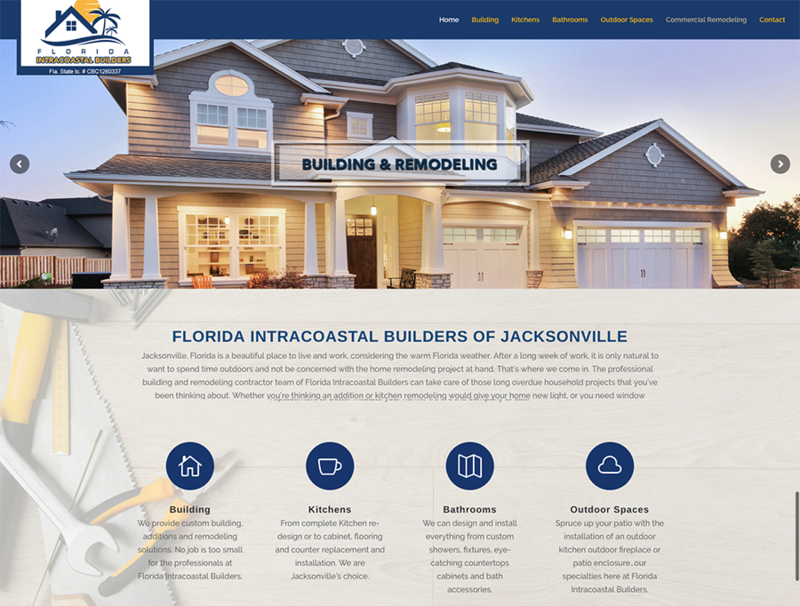 Florida Intracoastal Builders of Jacksonville, needed a website refresh and was not happy with their current website vendor. FIB reached out to OCRON and they helped out with fresh new look and a branding overhaul. It was not an easy transition from the old website vendor. The vendor would not release FIB’s domain name. Unfortunately, this is a bad business tactic used bay many small website vendors. FIB was forced to pay the vendor $500 to release the domain name. OCRON Tip: Be sure to read to read the fine print of your contract. Be sure to ask who own the domain and the websites code after completion. At OCRON our clients own both.